Halloween was directed by David Gordon Green, who also co-wrote the movie with Danny McBride. It is a direct sequel to creator John Carpenter‘s 1978 original, ignoring the events depicted in every other Halloween movie. The cast includes Virginia Gardner, Will Patton, Toby Huss, Miles Robbins, Omar J. Dorsey, Haluk Bilginer and Andi Matichak. 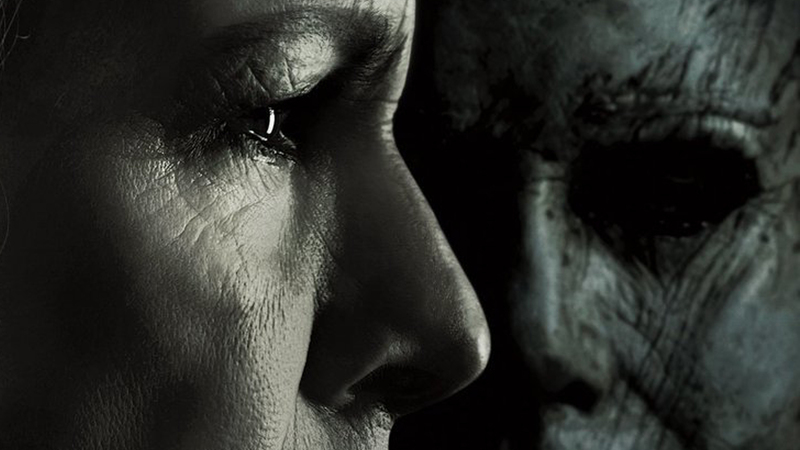 Halloween slashes its way into theaters on October 19th! I’m not a huge horror fan, but I always liked the Halloween movies. This one looks like it may be a good reboot! And Danny ‘you’re f*ckin out’ Mcbride helped write it!? I’m in. Gotta say that looks pretty badass. Agreed! I have actually only seen the ones starring Curtis and the Rob Zombie one (which was creepy, but felt more like a Texas Chainsaw Massacre). Looking forward to this.